A week has passed since Mac Millerdied of an apparent overdose, and new details continue to emerge in the aftermath of his death. Paramedics were called to the rapper's Studio City, Calif. residence on Friday, Sept. 7, according to a statement from the Los Angeles County Coroner's Office. The Swimming artist, née Malcom McCormick, was pronounced dead at the scene at 11:51 a.m. He was 26-years-old. Since then, E! News has confirmed that his body was released and flown to his hometown of Pittsburgh, Penn., although a cause of death has yet to be determined. Following the news of his death, his family released a statement honoring their beloved son. 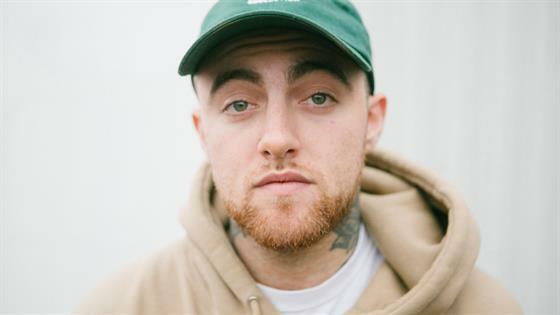 "Malcolm McCormick, known and adored by fans as Mac Miller, has tragically passed away at the age of 26. He was a bright light in this world for his family, friends and fans. Thank you for your prayers. Please respect our privacy. There are no further details as to the cause of his death at this time," the statement read. Other stars who loved and respected the star took to social media to express their sadness and condolences. Miller's ex-girlfriend, pop star, Ariana Grande, was one of many celebrities who addressed the rapper's passing by sharing a never-before-seen photo of him. Likewise, Ariana's brother, Frankie Grande, spoke out on Sept. 11 about the man he called a "good friend." Frankie revealed it was Mac who encouraged him to seek help for addiction struggles and that Mac would "be there with a gift and a card and words of encouragement" when he would pass various milestones. Similar stories have come to light in the days following his death. Miller's longtime friend, social media star and entrepreneur Karen Civil, spoke to E! News exclusively about his always positive and loving nature. She shared in an interview, "He was the type of friend that always encouraged you and that always saw sunshine even when it was dark." The pair first met in December 2011 at one of his New York City concert and "throughout the years [their] friendship continued to grow and it turned into one that was more like family," Karen explained. Civil said she even considers Miller's mother, Karen Meyers, to be family. She told us that even in his death she's confident in turning to Meyers, who "just like her son she was very supportive and is a blessing to have in my life." In the days before his death, Karen said Mac visited her in the hospital. Recalling their last moments, she revealed to us that he held her and played tic-tac-toe. From her perspective, Karen will remember her friend as "someone who reminded you that you are loved and made sure that you knew it. He made your heart smile anytime he walked into a room." His undeniable charisma and unique spirit didn't touch only those closest to him, but also his fans, who came together to remember the artist they loved. Four days after his passing, mourners gathered at Frick Park's Blue Slide playground, which inspired the name of his debut album, to hold a vigil in his memory. Friends, family and fans came to the park in Miller's hometown for the memorial held by Nightfall Records on Tuesday, Sept. 11. One mourner who attended the emotional event told E! News at the time, "There were so many emotions showed to respect such a great influence on Pittsburgh. His friends shared nothing but kind words about him, and a lot of people that attended his high school attended." While people across the country are mourning his death, no one feels the loss more than his family, who have been there for the rapper since day one. On his 26th birthday, Miller's mom wrote on Instagram, "Happiest Birthday my youngest. I've always loved this photo... your smile and love spreads from the inside out... That moment and this moment... so proud of your great glorious heart." A week after his death, his mother continues to show her love for her son on Instagram, where she posted a photo of her embracing the smiling artist. Plans for a funeral have not been announced.